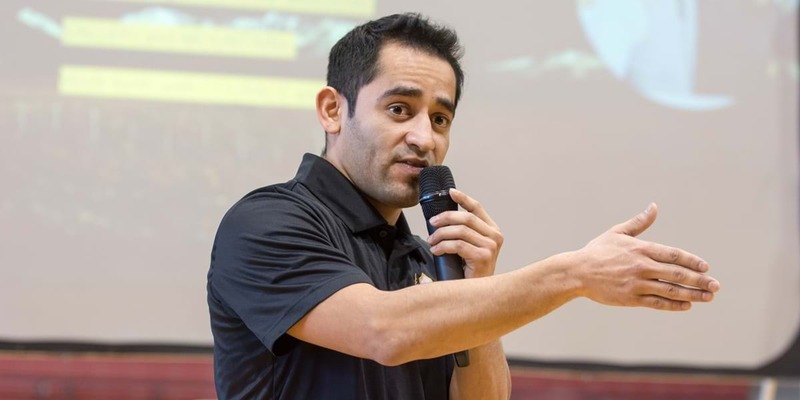 The first in his family to attend and graduate from college, Pedro is using his background in social work in his role as the executive director of La Unidad, a youth development program that aims to inspire unity, creativity and grit through the game of soccer. As an undergrad, Pedro volunteered for the nonprofit organization Justice for All through their IMPACT program, which provided after-school activities for middle and high school students. I have many great memories. They range from the small things—like driving home at 3 a.m. in a 15-passenger van from a wrestling tournament with my teammates—to big moments, like when I delivered an “I Have a Dream” speech during a chapel service my senior year. What inspired you to major in social work? My biggest inspiration to major in social work came from my own experience growing up. There have been moments of adversity and moments of resilience, times of loss and times of gain. My mother, Maria Del Socorro Ruiz Lopez, died in a traffic accident when I was 11. She was our caretaker. She welcomed everybody into our home and made sure no one left hungry. I believe she taught me everything I needed to know about compassion without me even knowing it. Something I always knew I wanted to do was help people, the way mother did for us. What do you appreciate most about the social work faculty? Before coming to NWC, all the social work professors were active in the field. When you’ve been given the opportunity to work with real lives in real situations, your perspectives change. My professors understood that and made sure their students thought critically and on a much bigger scale. Because in the end, it’s all about being there for others and meeting them where they are in life. My goals are the same as they were when my parents decided to immigrate to the States from our home in Aguascalientes, Mexico. My father always told us there wasn’t much he could leave for his boys, just the opportunity to get a good education. He did just that, and although I accomplished being the first person in my family to graduate from college, it does not end there for me. My future career goals and passions revolve around investing in the young people around me who are labeled as the “at-risk kids” or “troublemakers” in the classroom. I hope to be a bridge for all young people so they can see for themselves that they don’t have to settle for anything less than their greatest potential.